We’ve been doing wonderful work for patients out of our flagship Hope4Cancer clinic in Baja California, Mexico, for years. But amazing healing is also happening at our newly opened Cancun location as well! Heading up the gorgeous facility there is Dr. Erick Rivera, and I wanted to take this opportunity to ask him some questions, and give you a chance to learn a little about him and our new facility. You’ve been working with Hope4Cancer for a year and a half. What motivates you? The cancer patient is a great challenge, and that motivates me to learn as much as I can to continue to provide excellent care. I think Hope4Cancer’s non-conventional and non-toxic cancer treatments are a great alternative to chemotherapy and radiation. In using them, we’ve seen good results in the reduction of both the size and number of tumors in our patients. At Hope4Cancer, we give our patients a tremendous amount of attention. Our treatment plans involve not just cancer-fighting therapies but also integrated care of the whole patient, including education on things like nutrition. In our care, the patient will create a complete life change, and that’s just the start. We help the patient go through this journey, supporting not only their body but also their mind and soul. You head up Hope4Cancer’s new Cancun clinic. What’s it like? We’re located in paradise! Our new program, a half-day outpatient clinic, is directed to patients in early stages or prevention. These patients receive personalized treatment in the morning, then enjoy the rest of the day on their own, with an extra therapy at night. We think stress is an important factor that acts directly on the patient, which is the reason why being somewhere like Cancun can be so beneficial. How do you approach patient care? I think it’s important to approach the people who come to Hope4Cancer not only as patients, but as friends. I’m here to guide them during their journey, helping them with their treatments and taking the time to listen to their questions and concerns, and carefully explain the answers. What experience can a patient expect at the Cancun clinic? Coming to Cancun is certainly an experience, starting with the location. We’re in the beautiful Caribbean, and our facilities are spectacular. Our team is also second to none. The nurses take care of the patients and answer all of their questions. The doctors are actually with the patients, too, helping them and taking superior care of their health. Do you remember any patients specifically? Yes! Our first patient at the Cancun clinic actually just came back for her three-month follow-up, and her results are incredible. Seeing these kind of results and the happiness all over her face gives me a great reward and the energy to continue working the same way. Why should a new patient choose Hope4Cancer Cancun? I think if a patient is a candidate for our outpatient clinic, they should, without a doubt, choose Hope4Cancer Cancun. They will get an all-around great experience, and at the same time, they will invest in their health. 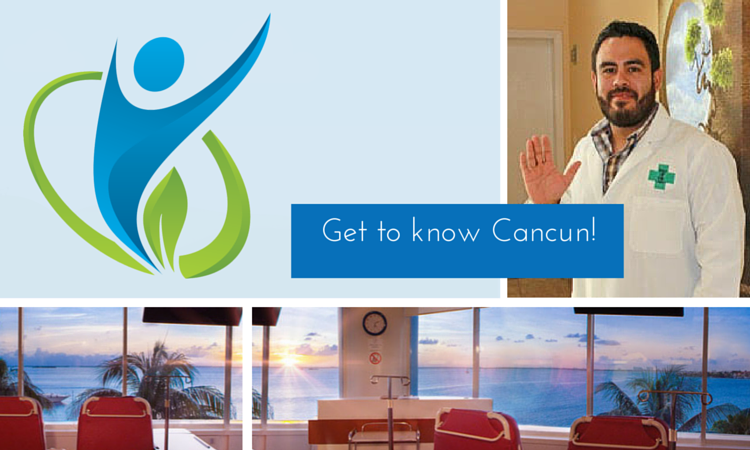 What would you still like to know about our Cancun clinic? Join the conversation by tweeting @Hope4CancerMex or commenting on the blog or Facebook page.